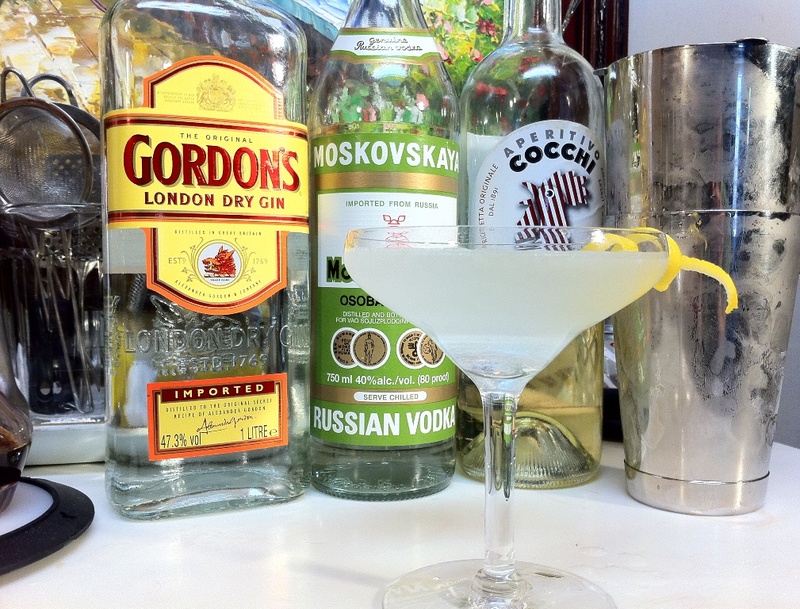 Think you know Gordon's gin? If the 40% abv bottling we get here in the states, or even the 37% abv sold in the UK has been your only exposure, then there's one more you should try before dismissing the stuff as middle of the road tipple at best. 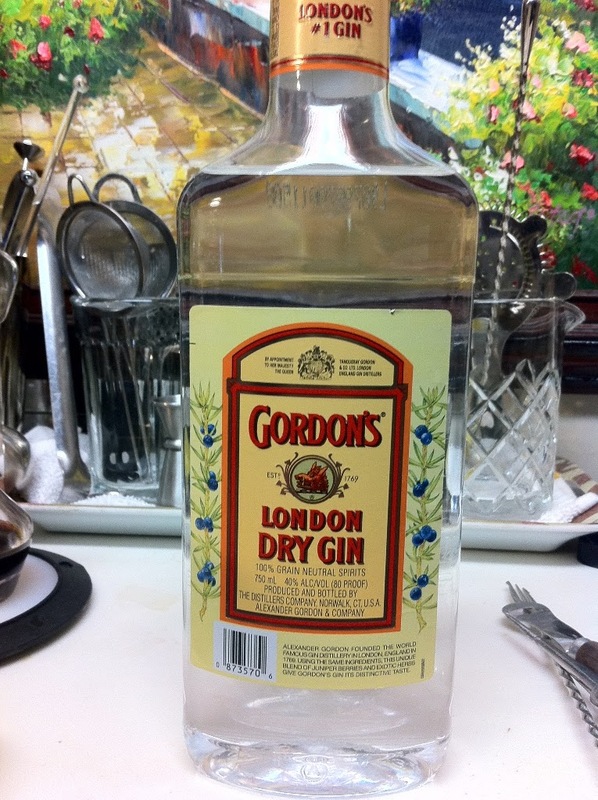 The Gordon's "Yellow Label" London Dry Gin, at the special 47.3% export strength, is incredibly good stuff. Gordon's is produced in the U.K. and under licence in several former British territories including Canada and New Zealand. Apparently, though all the distillation plants use the "exact" same recipe, the water used at each plant, and the strength it is bottled at has a lot to do with the finished product's flavor. Depending on the market, Gordon's is sold in several different strengths. The U.S. version is bottled at 40% abv. 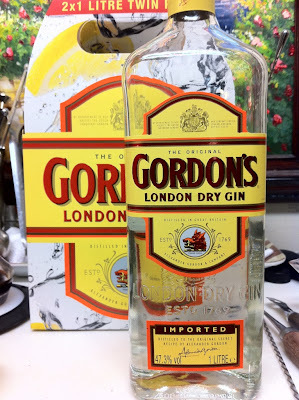 Gordon's claims to be the world's biggest seller of gin and estimates that more than two bottles of Gordon's are drunk every second of every day somewhere in the world. Gordon's is also the only gin to hold two Royal Warrants and currently holds a Royal Warrant from both HRH Queen Elizabeth II and HRH the Queen Mother. NOSE: Turpentine and industrial alcohol tempered by hints of juniper and pepper. 17/25. NOSE: Completely different experience from the 80 proof. Soft and round with juniper, coriander, citrus, pepper with delicate florals. 23/25. 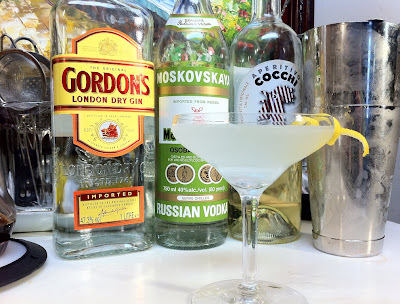 :..three parts Gordon's gin, one part Russian vodka, a half measure of Kina Lillet aperitif, shaken until ice-cold, served with a slice of lemon peel." Subject to a fair amount of debate, this recipe has been interpreted a number of ways. So as not to end up with a 4 1/2 ounce knock out drink, I'm going with some more favorable math. Shake with ice and strain into a coupe cocktail glass. Garnish with a lemon twist. This is a classic for good reason when made with the right ingredients. In 1953 Gordon's was stronger stuff, somewhere in the 44.4%-47.3% range. It's really not worth trying this drink with regular 40% Gordon's. 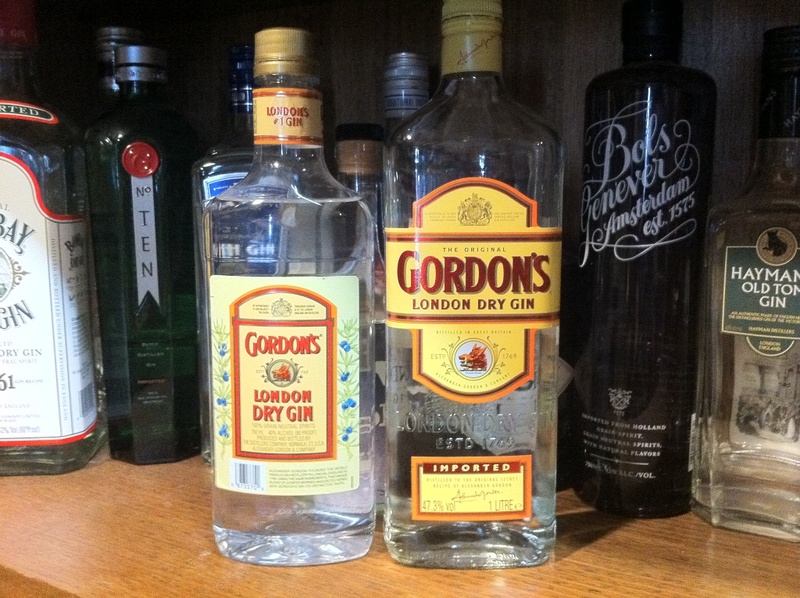 Go for Beefeater or Tanqueray if you do not have access to the export strength Gordon's. 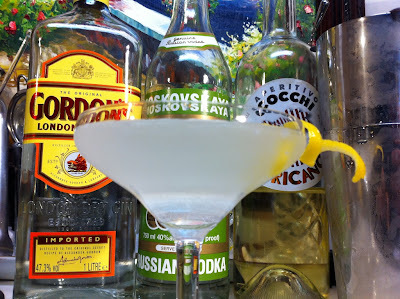 Unless you want to up the quinine level in your Lillet blanc by adding quinine powder or bark, go with Cocchi Americano for the Kina Lillet as it is much closer in character to the original Kina Lillet formula. Use a nice Russian vodka and you are ready to go! Appropriately named for the original Bond girl. It's silky smooth and super dry - yet perfumed in wonderful florals. 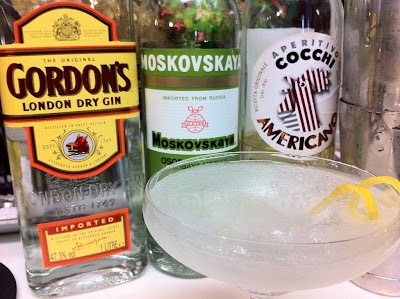 A very nice shaken libation, with a little Russian spirit lurking within. 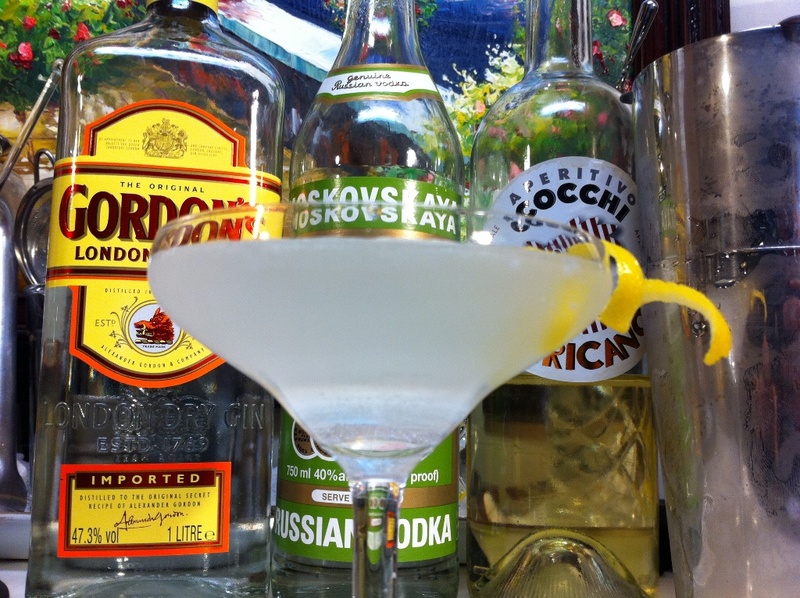 The Vesper. Long time user of Gordons Gin here in USA, since 1974. Just recently whoever is bottling in the US has transitioned to a bottle 1 inch taller - STUPID! - No longer fits in the door of my fridge or upright on any other shelf. I do not drink warm gin. I will not buy a new fridge to accommodate a plastic bottle. I guess it is time to move on. Sorry.